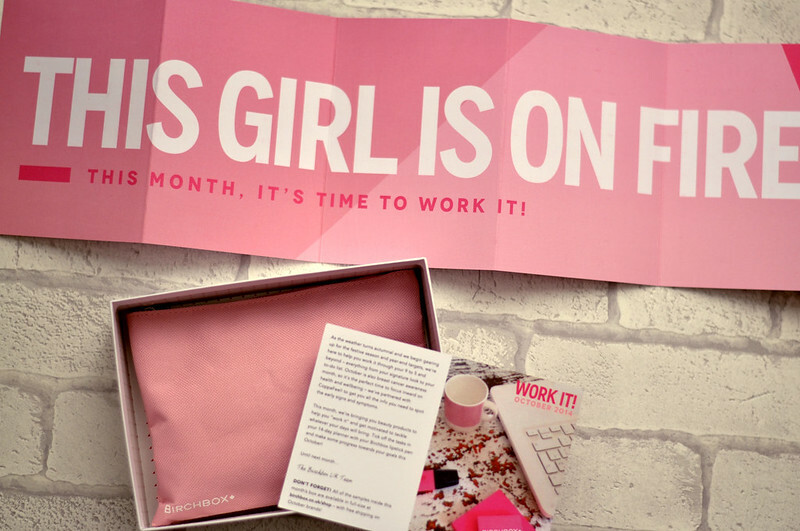 This months Birchbox helps you to get ready through the winter as well as raising awareness of breast cancer and all things pink. 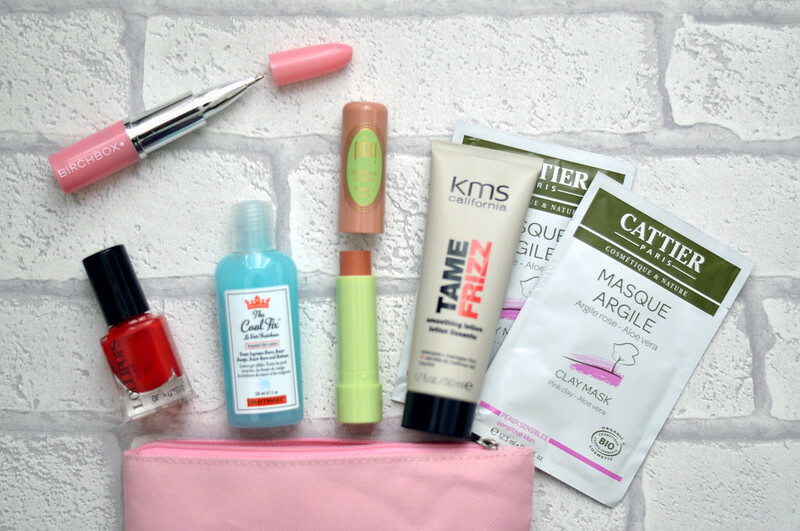 I'm not so impressed with the products in this months box, I'll use them all and probably like them all, but nothing wowed me when I pulled it out the bag. I like that they've changed the packaging up a little with the added pink pouch. 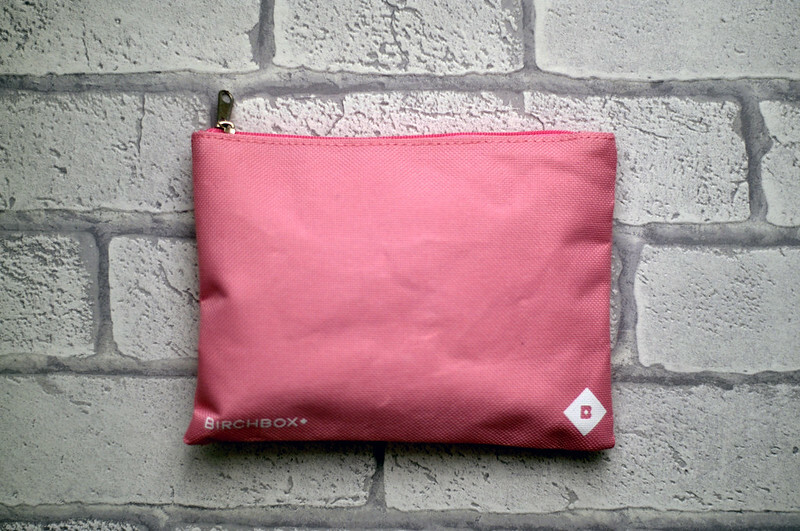 It's the perfect size to keep a few essentials in it and then keep it in your handbag. Lollipops Nail Polish | £7 // I'm not a huge fan of red nail polish, unless I'm using a gel polish, so I would have preferred a different colour. I haven't heard of this brand before so no idea what the formula or longevity is like. Shaveworks The Cool Fix | £11 // I've seen this product while browsing Sephora online but actually haven't heard from anyone who has used it. It's a cooling gel that treats ingrown hairs, razor pumps and redness after shaving or waxing. After shaving my legs quite often a rash will appear no matter how careful I've been or what products I've used because I have such sensitive skin. I'm hoping this will help! Plus it smells really nice! 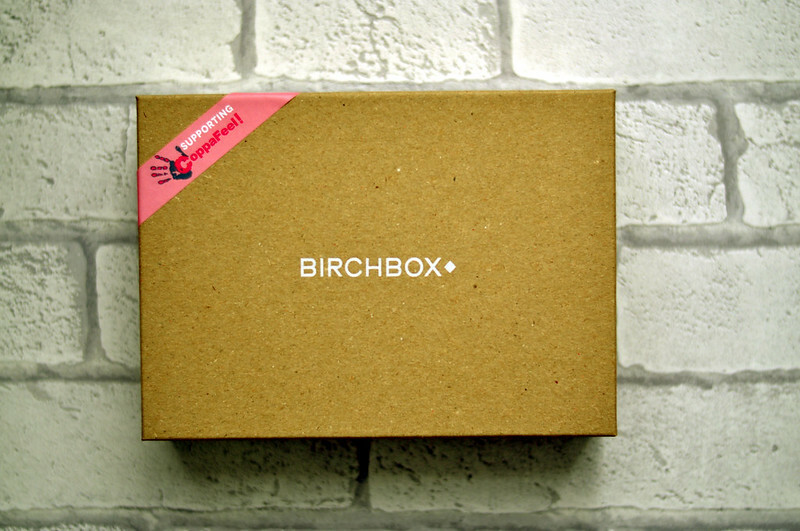 Pixi by Petra Shea Butter Lip Balm in Honey Nectar | £8 // I've wanted to try one of these tinted balms for such a long time but just never got round to ordering one so I'm pleased to see it in a Birchbox. On the lips Honey Nectar has a slight peach hint and it feels really moisturising. A good one to keep for winter if my lips become really dry and I can't really get away with wearing a lipstick. KMS California Tame Frizz Taming Creme | £15 // I haven't tried too many products from KMS but I love their curling mousse so hoping this is just as good. My hair can get incredibly frizzy so this leave-in lotion will have to be amazing to sort out my mess of hair! I think this also works as a heat protector so means you can use one less product. Cattier Pink Clay Face Mask | £4.25 // Pink clay is meant to be really good for sensitive skins, which is mine, and this one in particular has aloe vera in it as well to help moisturise the skin. From the looks of it and how much product is in each sample I think you could probably get four full face applications from the two sachets which is pretty good.